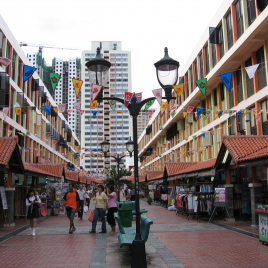 In Singapore, 80 % of the population live in public housing. To make it convenient for the residents of the area, there are many amenities accessible to them. You literally do not have to leave your estate to get most of what you need for your daily life. On this 3 hours tour with our guide Charlotte Chu, we will walk around 2 HDB neighbourhoods to find out more about how the local folks live, shop and eat. We explore the neighbourhood shops where bargains abound, you can get a haircut for $3(!) and get kitchen stuff that you cannot find easily at the malls. 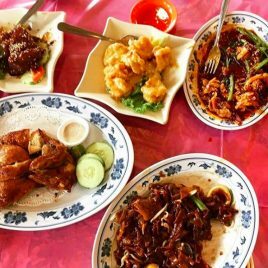 Singaporeans love to eat, so let’s join them and try food from various food stalls. The stalls are recommended by a food blogger who has 60000 followers and whose blog has had over 32 million views since he started blogging 5 years ago! We may even have the opportunity to meet him personally if he is available. to the starting point as we will end the tour at a different point, near Ang Mo Kio MRT. Please note : There are some walking, catching the bus and MRT, so please put on comfortable shoes, bring an umbrella and a bottle of water and your EZ Link card. Please sign up early; bookings will close on Thursday, 17th January 2019.